Ethelbert Watts was born in Philadelphia on February 25, 1845, the son of Henry Miller Watts and Anna Maria Shoenberger. Henry Miller Watts served as United States minister to Austria in 1868 and 1869. Watts entered the University of Pennsylvania in 1861 as a freshman in the College Class of 1865. He was a member of Delta Psi fraternity and of his class’s sophomore crew team, known as the Sophomore Barge Club. 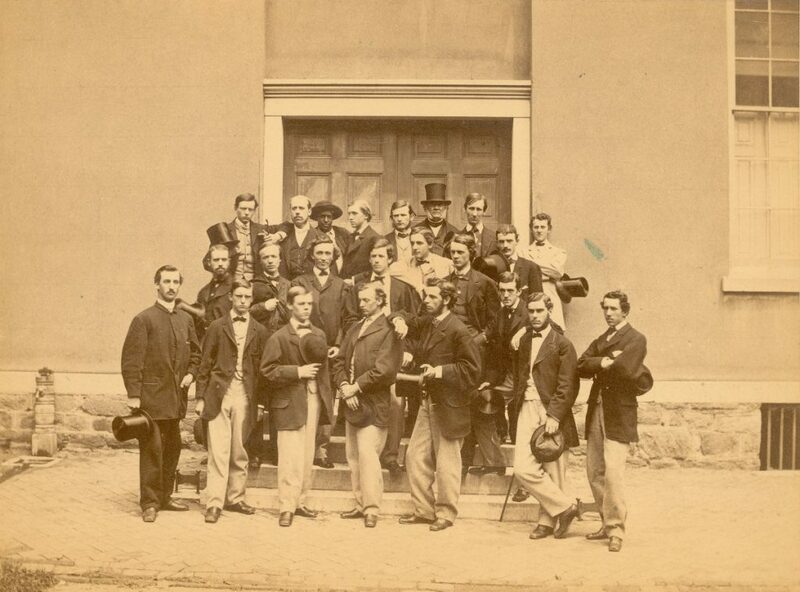 During the third term of junior year, Watts left the University to enlist as a private in the Thirty-Second Regiment of Pennsylvania Reserves during the emergency of 1864. After his military service Watts spent two years at the Royal Saxon School of Mines in Freiburg, Germany; here he studied mining engineering in preparation for joining his family’s iron manufacturing business in Philadelphia. Watts was a member of the American Institute of Mining Engineers and was cashier of the Centennial Board of Finance for the 1876 Centennial Exhibition in Philadelphia. In 1886 he also became the secretary (and later treasurer) of the Investment Company in Philadelphia. In 1896 he entered the United States foreign service, including posts as American Consul to Prague, St. Petersburg, and Brussels. In 1908 the University of Pennsylvania awarded him the A.B. degree, backdating the degree to 1865. He married twice, first on April 11, 1871, to Emily Pepper, daughter of Dr. William Pepper, M.D., a professor in Penn’s Medical School. Emily Pepper was also the sister of Dr. William Pepper, Jr. (Class of 1862), later the provost of the University (1881-1894) and Maria Pepper Gerhard, wife of John Sergeant Gerhard, another member of the Class of 1865. After Emily died on June 7, 1885, Ethelbert Watts married Katharine L. Gregg on November 12, 1894, in Philadelphia. Ethelbert Watts died at the Hospital of the University of Pennsylvania on July 13, 1919.